An avocado pool float, a sandwich bowtie, a pizza nightlight, and more stuff that's making us really hungry. 1. Measuring spoons that will make baking easy as (cherry) pie. The leaf is an egg separator! Get them from Amazon for $16. 2. A sandwich bowtie for people who want to ham it up at their friend's wedding. Get it from rommydebommy on Etsy for $69.70. 3. 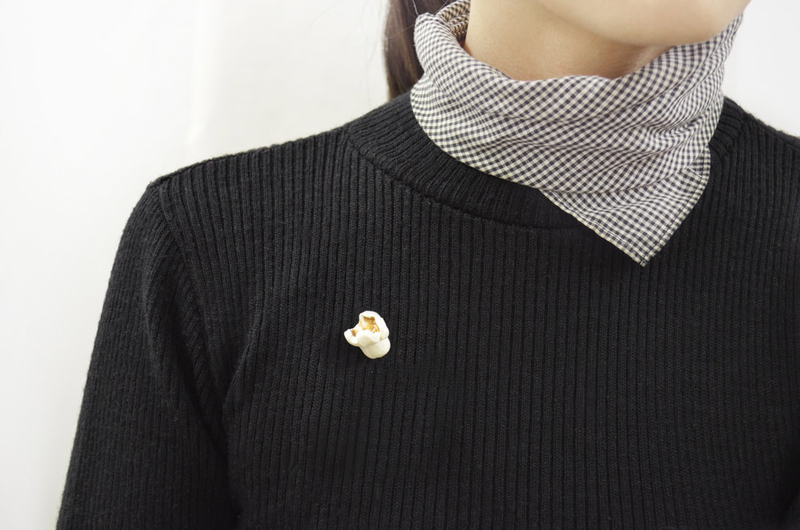 A pair of matching sweaters for you and the friend who completes you. Get the peanut butter or jelly sweatshirt from Iconic Duo for $42 (available in sizes S–L). 4. 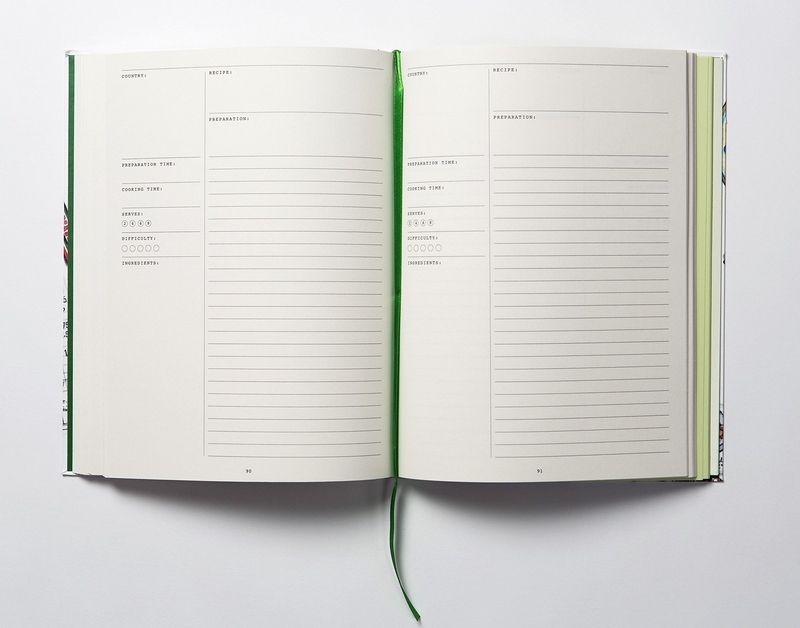 A food journal so you can reminisce about all your favorite meals, like that one really good cheesesteak you had last week with the perfect cheese to meat ratio. Get it from Amazon for $1.54, Barnes & Noble for $1.99, or a local bookseller through IndieBound here. 5. A giant burger pillow sure to give you delicious dreams. 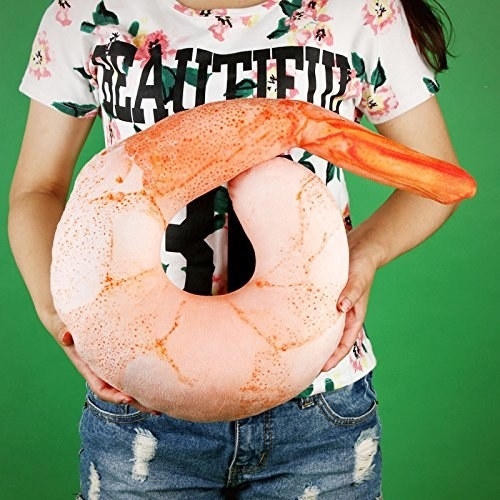 Get it from Cotton On for $49.99 (also available in doughnut form). 6. A briefcase grill for people who think barbecuing is serious business. Get it from Amazon for $50.99+ (available in two colors). 7. A fruit slice cooler bag so you can keep your drinks cool for the summer. Get it from Amazon for $32 (also available in lemon). 8. An avocado pool float that would be a pit-y to miss out on this beach season. Get it from Amazon for $24.99 or Urban Outfitters for $28. 9. 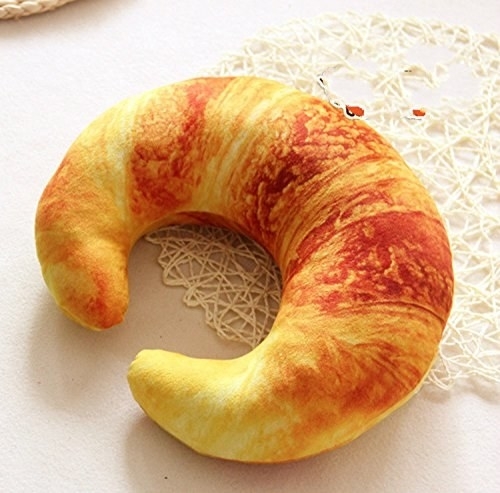 A shrimp or croissant neck pillow for taking delicious naps while traveling. Get the shrimp for $8.49 or the croissant for $9.99 from Amazon. 10. A darling tobacco pipe that's absolutely radishing. Get it from MudHedz on Etsy for $28. 11. A tortilla swaddle and cap for when your food baby becomes a REAL baby. Get them from Uncommon Goods for $48. 12. A pack of Jelly Belly lip balms so you can feel like you just ate some 'beans whenever you want (without the cavities). Get eight from Amazon for $11.99 or six from Firebox for $19.69. 13. Macaron bath bombs for anyone who's ever wished they could bathe in desserts. Get eight from Amazon for $19.99. 14. A helpful notepad you can fill in so no meal is left to chance. Promising review: "As a busy, working mom, this is fantastic! I keep an on-going list of groceries needed on the right side (I modify mine based on what store I am going to) and then what's for dinner on the left side. I have four teenagers and there is always someone who is asking, "what's for dinner?" so this does the trick as now they just need to look at the list! Perfect for the busy family and LOVE the magnet on the back!" —Lauren T.
15. 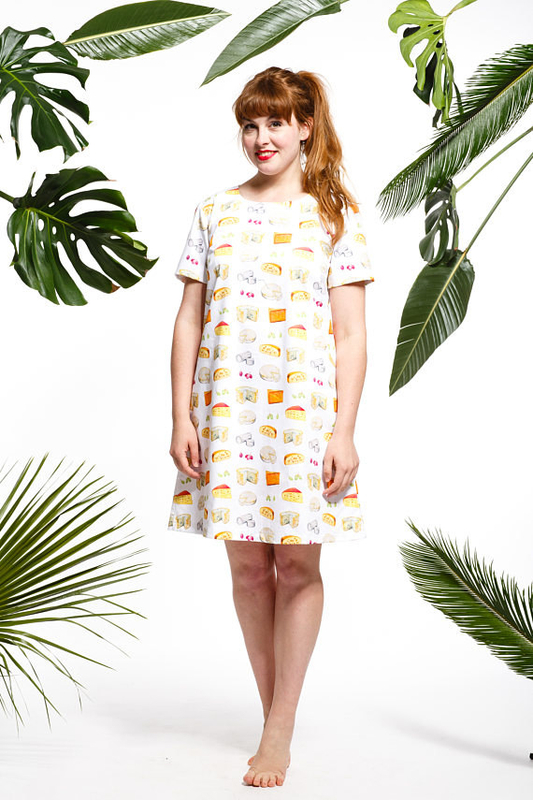 A food-patterned dress, because if you can't play with your food, at least you can wear it. 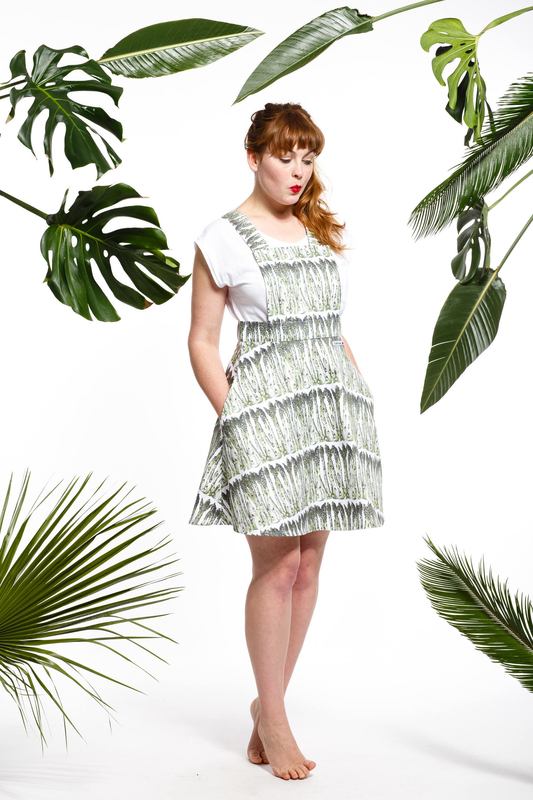 Get the asparagus pinafore for $99 (available in sizes XS–XL) or the cheese shift for $99 (available in sizes XS–XL) from annanemone on Etsy. 16. A pizza nightlight to light your way to the fridge for your midnight snack. 17. A hydrating balm with all the sweetness of caramel but none of the stickiness. 18. 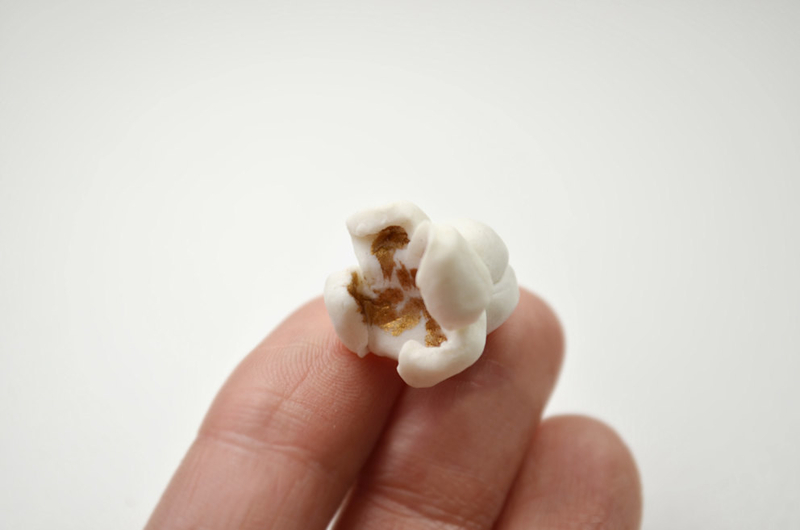 A realistic popcorn pin for people who go to the movie theater just for the concessions. Get it from monochromatiques on Etsy for $27.88+ (available in two finishes). 19. Cookie Sutra — a book perfect for couples looking to (ginger) spice up their love life. 20. A pizza pouch, because sometimes you need both your hands free to properly gesticulate about how much you love food. 21. 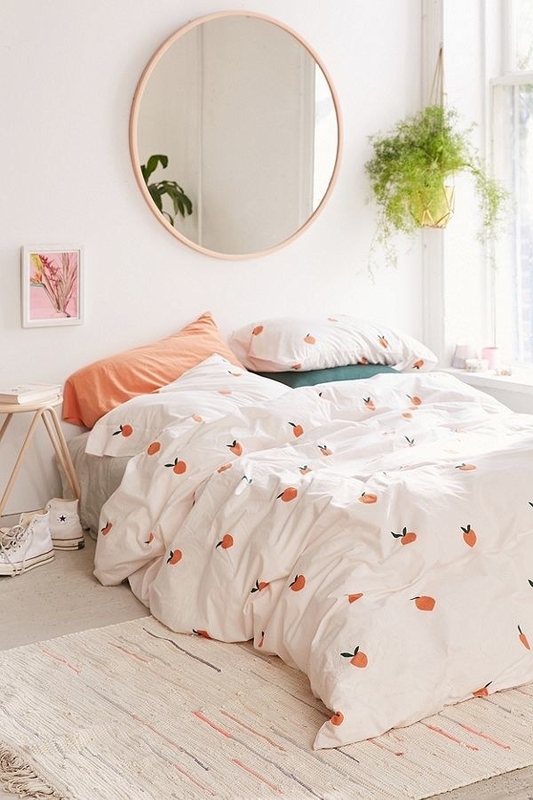 A peachy duvet cover you'll be pining for. 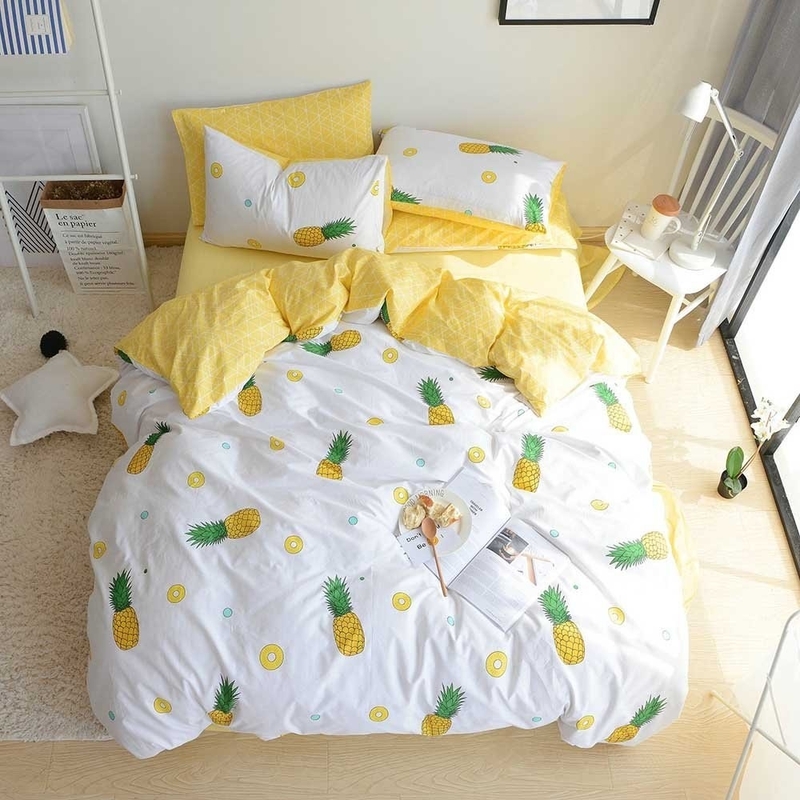 Get the pineapples from Amazon for $56.99 (available in twin or full/queen sizes) or the peaches from Urban Outfitters for $89+ (available in twin or full/queen sizes). 22. A squeaky pet toy that will make both you and your dog really hungry. Get it from Amazon for $6.41+ (available in six foods). 23. An alphabet onesie to introduce your child to the joys of food early. 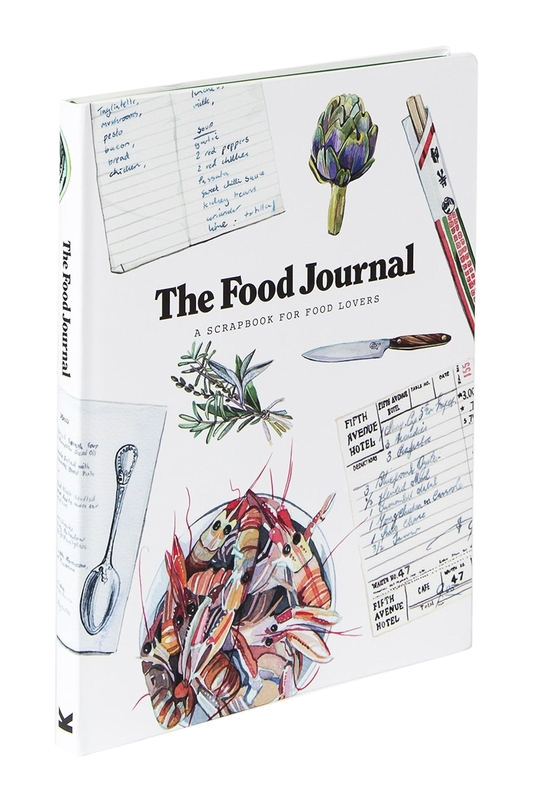 Get it from Food52 for $25 (available in sizes 3 months–18 months and six foods). 24. A teeny-tiny bowl of ramen you don't want to miso out on. Get a randomly selected style from Amazon for $2.29. 25. A kitchen towel that beets all the competition. 26. A pair of doughnut slippers we have a ~sprinkling~ that you might enjoy. Get them from Amazon for $12.99 (available in sizes S–XL). 27. A French fry purse so you can have some spuds to match your duds. Get it from Amazon for $10.69 (also available in two other shapes). 28. A pair of pasta holders to use when your oven mitts are too farfalle away.